100 Years ‘n Still Swinging!!! Established in 1916, Woodward Golf & C continues the true golf tradition for more than 100 years. If you have never played Woodward or have not played it recently come out and play. Woodward Golf & Country Club boasts a natural, flowing terrain that allows golfers of all abilities to enjoy 18 championship holes. These membership tiers allow the member, their spouse, and dependents under the age of 21 golf privileges. Our event space offers a panoramic view of the golf course, a perfect backdrop for a wedding reception, party, or class reunion. The birthday guest must be accompanied by one or more full paying guest(s). No single guests are allowed for the birthday offer. We will be accepting Tee Times at 7 AM. Give us your email address for a chance to win a free round, get our newsletter, and special offers. Be our Guest on your birthday for free with one full paying guest. 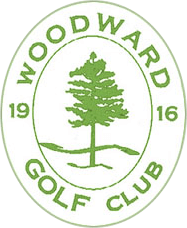 Woodward Golf & Country Club was founded in 1916 by A.H. (Rick) Woodward, Sr. as the Employee’s Club of Woodward Iron Company and was designed by noted Birmingham sportsman Charlie Hall. Woodward Golf & Country Club is the oldest country club in Jefferson County that remains in its original location. However, modifications were made to the golf course and clubhouse in the 1970’s as a result of interstate construction. Noted architect Ward Northrup made further renovations to the course in 1986. Woodward Golf & Country Club is located off Interstate 20/59 at exit 113, just 15 minutes from downtown Birmingham. Guests are welcome to play our facility. See our Specials & Discounts Page!! © 2019, Woodward Golf & Country Club. All Rights Reserved.